Give yourself & your skin a mega-boost! These spa-quality Bliss – That’s Incredi-peel Glycolic Resurfacing Pads gradually release glycolic acid overnight to target fine lines, discoloration and imperfections for smoother, brighter skin by morning. How many of you love thumbhole tops? I am obsessed with them, so I was super excited to see this cardigan on sale. Right now, you can get this Striped Thumbhole Cardigan for just $21.99 (reg. $43). This cardigan is simply to die for, and you’ll want both colors in your closet. The long style makes this cardigan perfect to pair with skinny jeans or black leggings. It’s super soft and comfy, and it’s one you’ll reach for again and again during the chilly weather. Make sure you get this Striped Thumbhole Cardigan while it’s on sale! We’re heading toward the end of the year, which is always the time when I look for a new devotional. 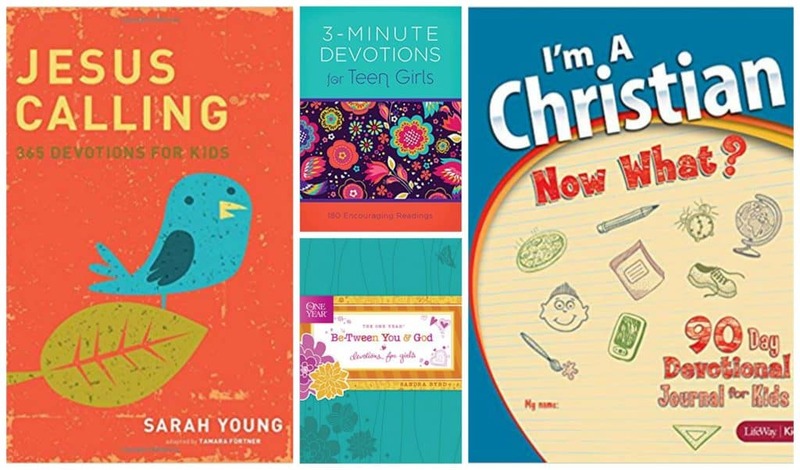 I’m wanting to get a new one for my daughter, and if you have a daughter, too, you’ll love these Devotionals for Pre-Teen and Teen Girls starting at $4.99! 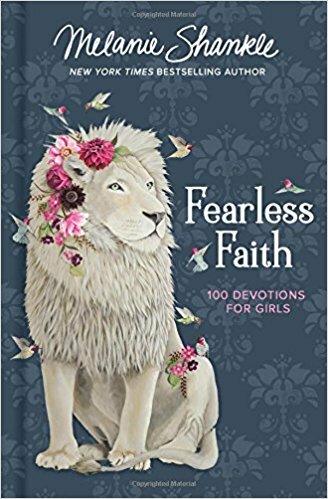 Fearless Faith: 100 Devotions for Girls is a book for girls age 8 and up that will help them be brave in their walk with God. Right now, you can get this for $12.73. We all get busy, so devotionals that are easy to fit into the day are a must. 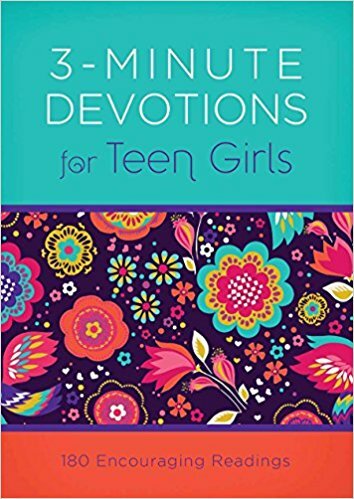 Girls can easily fit time with God in each day and jump start their conversations with Him with 3-Minute Devotions for Teen Girls: 180 Encouraging Readings. 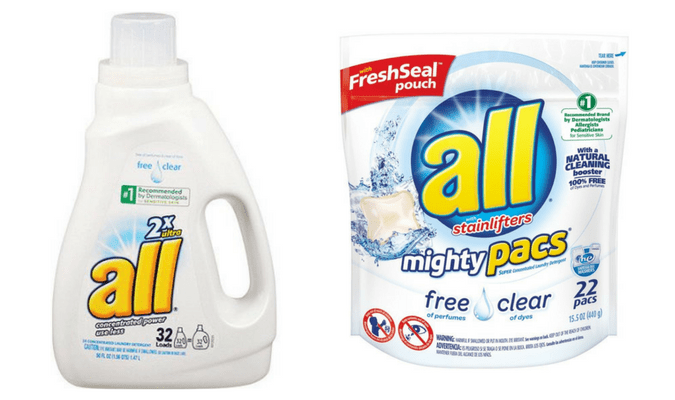 This is frugal and budget-friendly at just $4.99. 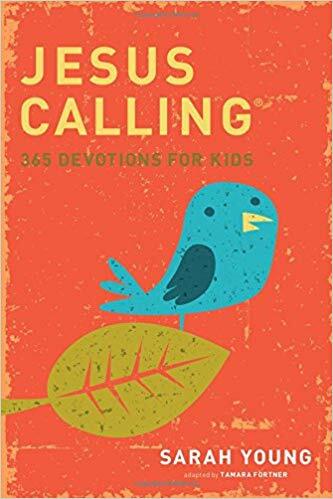 Jesus Calling is one of my favorite devotionals that I read, so I definitely want the Jesus Calling: 365 Devotions For Kids for my daughter. Get this for $11.59. 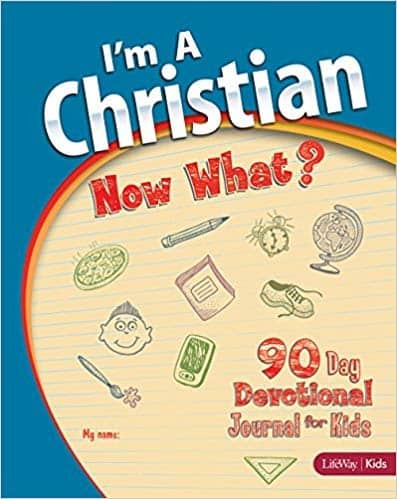 Kids can learn how to find Bible verses and grow in their relationships with God with I’m a Christian, Now What?, Vol 1. We love this devotional, and you can get it for $9.55. 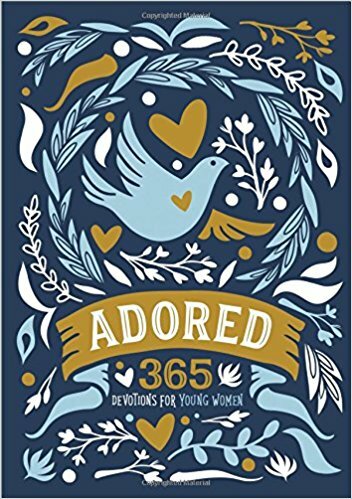 Adored: 365 Devotions for Young Women tackles tough topics girls face, like bullying and social media while showing them how infinitely precious they are to God. This book is only $10.52 when you clip the $2.16 off coupon located below the price. 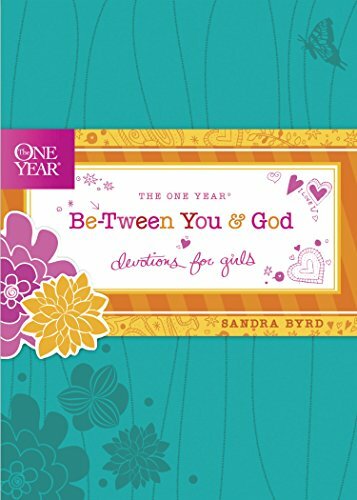 And, the diary-style writing in The One Year Be-Tween You and God: Devotions for Girls will be easy and fun for them to read, which will help them grow their relationships with God. Get this for $9.99. Make sure you check out these these Devotionals for Pre-Teen and Teen Girls starting at $4.99 for your daughters to read in the new year! Do you have a budding artist in your family? This art set is the perfect gift idea AND it’s on sale. Right now, you can get the Darice 120-Piece Deluxe Art Set for just $8.15. This set has everything your kids need to create their masterpieces – crayons, markers, paint, pastels and more! My kiddo loves to draw, so this will be a huge hit at Christmas! 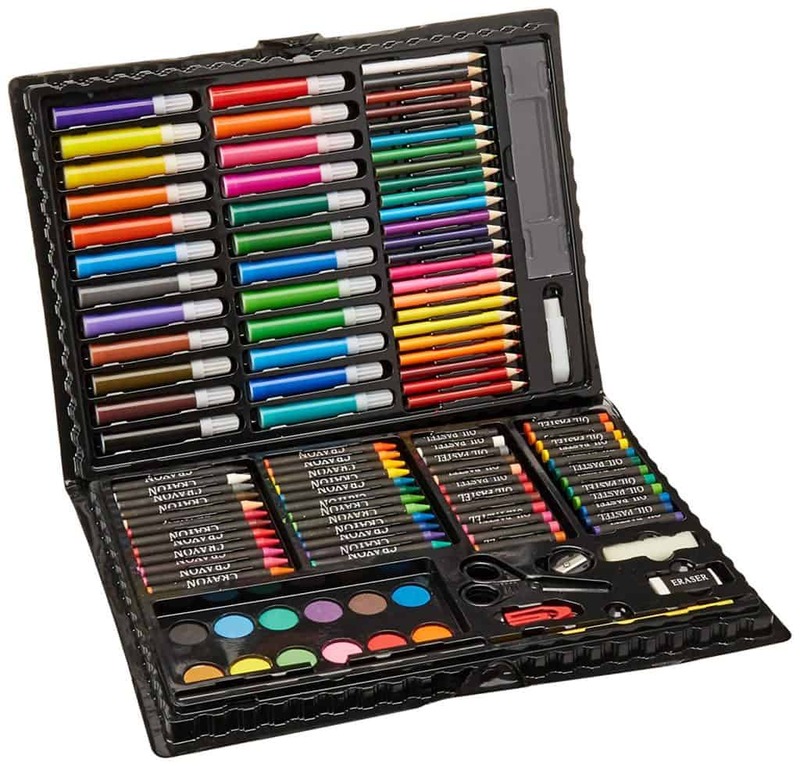 120-PIECE SET – This deluxe art set includes a wide variety of art supplies for drawing, painting and more – it’s a great choice for kids and adults to experiment with an assortment of artistic media at a value price! VERSATILE SET INCLUDES – This 120-piece art kit includes: 24 markers, 24 crayons, 24 color pencils, 24 oil pastels, 12 watercolor cakes, 2 clips, 1 white watercolor tube and 1 of each: palette, paintbrush, drawing pencil, sharpener, eraser, ruler, sponge and scissors, all in a plastic case. GREAT GIFT – This art set provides hours of artistic fun and makes a great gift for kids and adults alike. PORTABLE PLASTIC CASE – A plastic case with a snap-shut handle holds all the art supplies and keeps them neat and organized. It’s portable, too, so you can easily bring it to wherever inspiration lies! SMALL PARTS – Includes small parts, art kit not for children under 3 years. Grab the Darice 120-Piece Deluxe Art Set while it’s priced this low! Fall is here and what better way to keep warm than with this stylish pullover? Get this Monogrammed Quarter Zip Pullover in a variety of colors for just $23.99, down from $40. There are three different monogram styles, so you’re sure to find one that you like. I love anything and everything monogrammed, so I totally need this in my life. This is the perfect way to keep warm on chilly days at sports games, at the parkwhen you’re running errands – wherever you need to go without a bulky coat. Grab this Monogrammed Quarter Zip Pullover while it’s on sale!